This post is in collaboration with the web series Reverse Engineers. Although it's now supposedly summer, noone seems to have told the weather that! Although we initially had a spate of good weather, it's shifted back to cold and rain! 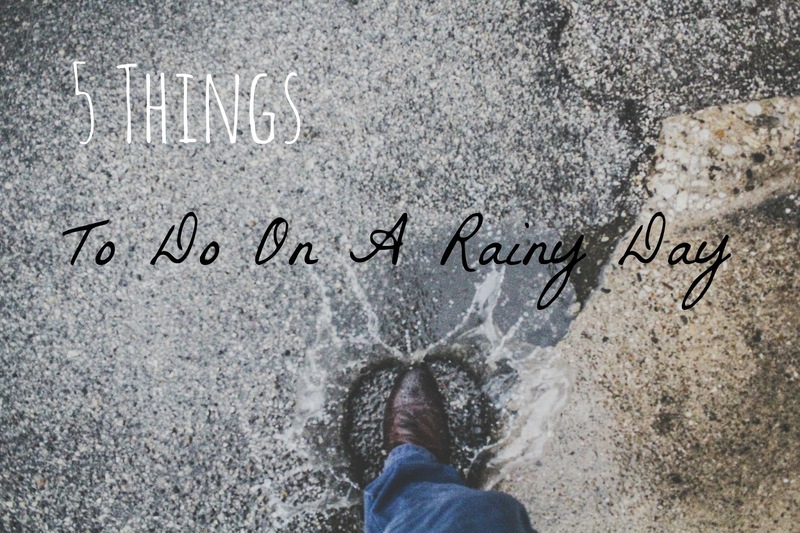 So I thought I would put together a list of 5 things to do on a rainy summer day. Start a new webseries or podcast! Although summer tends to be a quieter time for tv there are plenty of web series and podcasts to get started on. One of them is Reverse Engineers which is just launched today as a collaboration between Channel 4 and Shell and is definitely worth a watch. They are super short episodes which introduce cutting edge technology and how this can impact the modern world. It's interesting but it's the presenters who make it- an off but good combination of Made in Chelsea, Countdown and The Last Leg! If you don't believe me check it out here. Get in the kitchen and rustle something up, whether it's some cupcakes or cooking a hearty meal. Cooking and baking is a sure way to be productive without leaving the house. Plus there are loads of recent recipe book launches. I love bowling, but I never go and I never think to go but when the weather is a bit meh it's fun to go bowling instead of doing the usual dinner / cinema combo! Rubbish weather can make for awesome photos - it's all about those moody skies and dramatic clouds! So get wrapped up and go on an insta mission! You can follow me on instagram too if you want to! Sometimes you just want to take the day for yourself and go off the grid, a rainy day is the perfect excuse to do this! So no phone or laptop allowed, just enjoy it! What do you do on a rainy summer day? Let me know in the comments down below!